Hailing from Manchester, Ebere’s (aka Michelle Udogu’s) tantalising vocals will seduce your senses and energise your minds. This rootsy lady frequently immerses herself in Nigerian and Cuban Orisha influences and has collaborated with bands such as Speakeasy and River Niger Band at the Festival de Senigallia. 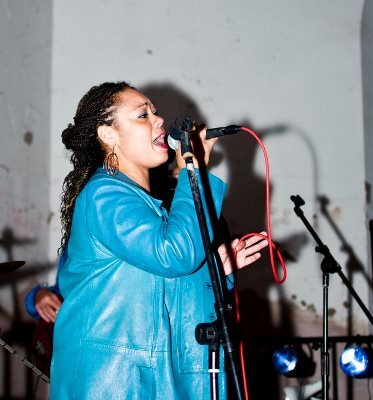 Michelle claims her unique and soulful vocals are a result of her maintaining an open mind in the experimentation of music. She supported Angelique Kidjo, Public Enemy, Goldfrapp and also performed with the Gorillaz live as part of the choir. She has worked with several other bands, more recently The Effectuators, who were a jazzy, funky affair.